We are fortunate to work with clients who appreciate creativity. Our clients afford us creative license to visually communicate their message. 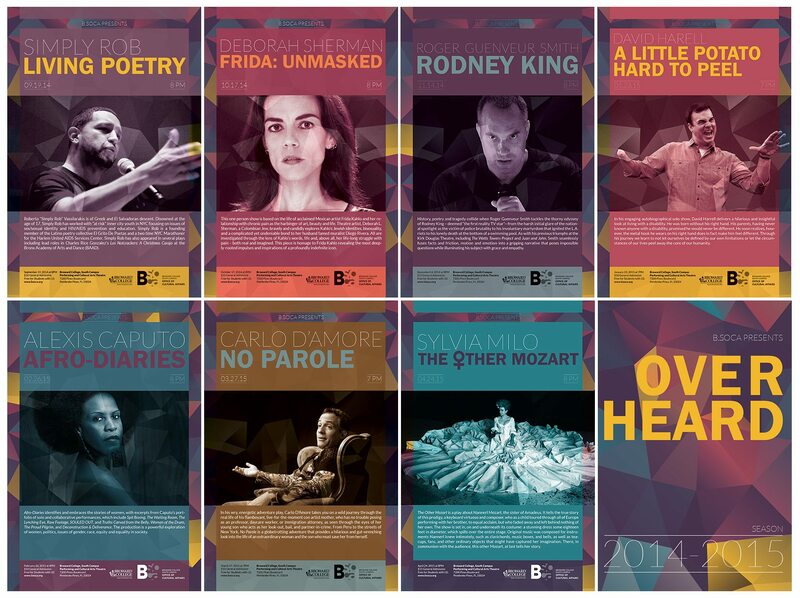 Below is a collection of our favorite print design samples from projects throughout the years. 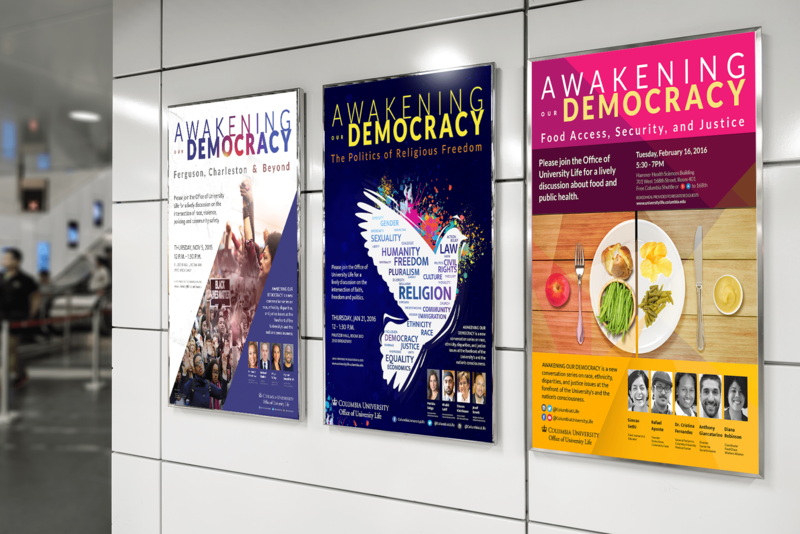 We designed this series of posters for Columbia University’s Office of University Life. 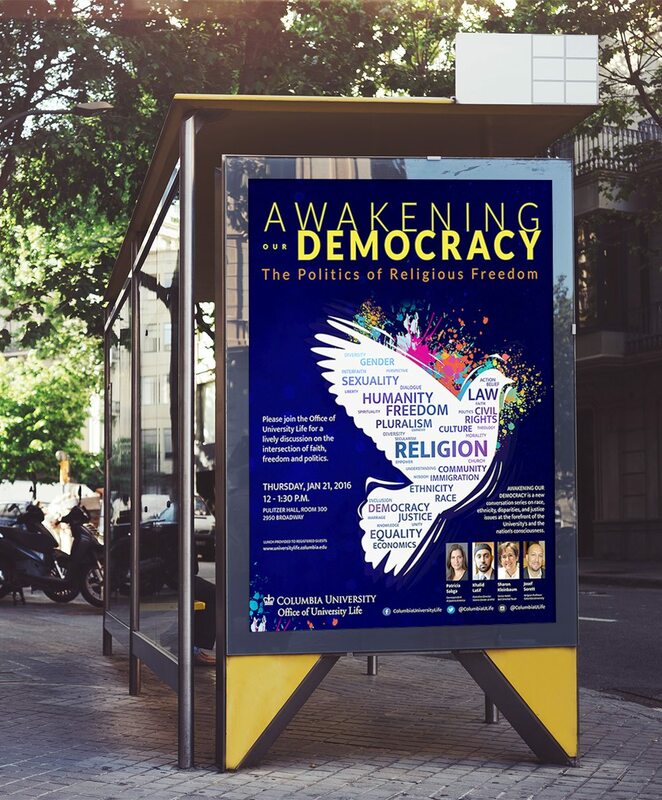 “Awakening our Democracy”, a series of conversations on compelling issues such as race, ethnicities, disparities and justice issues, needed equally compelling visuals to bring the message across. 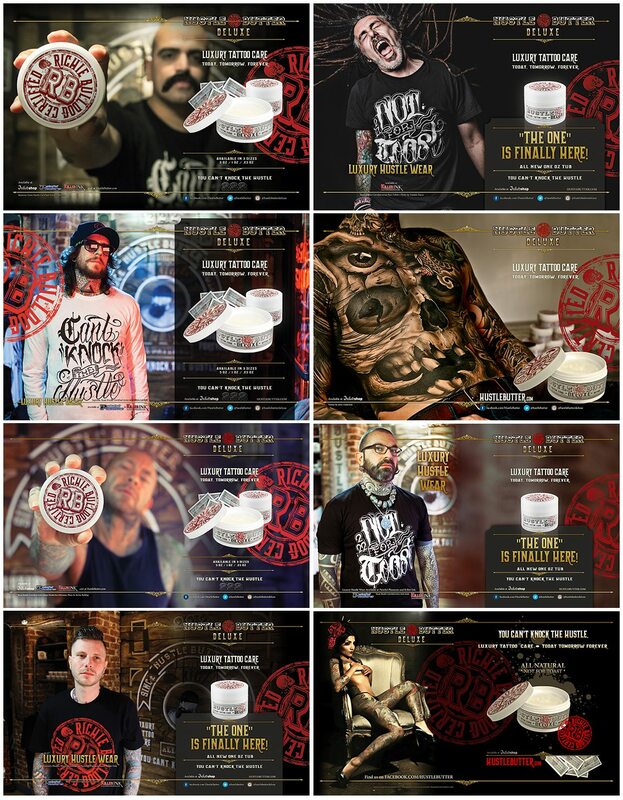 Therefore, our designers had an opportunity to create unique creative pieces of print design such as the three posters above. 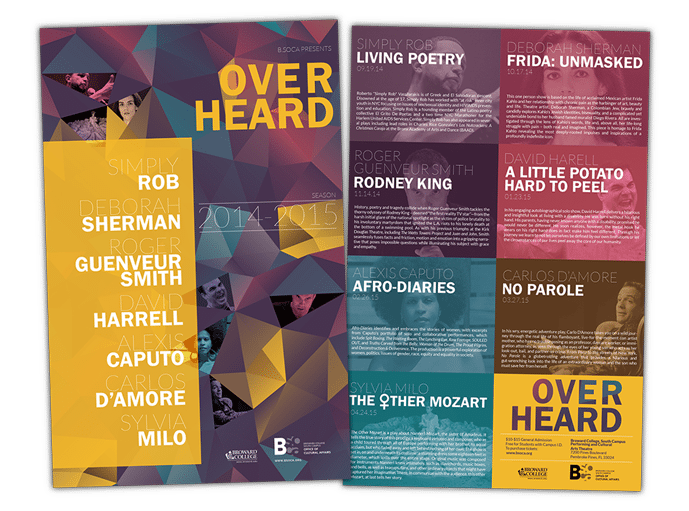 We designed a series of individual posters and a folded flyer for Broward College, to promote a series of performances collected under the headline “Overheard”. 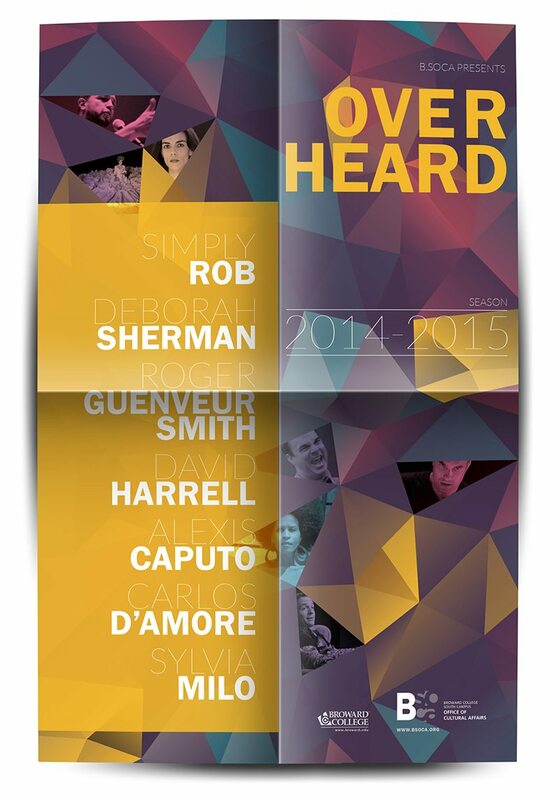 Below and above, you can see a 4-folded flyer that doubles as a poster when fully open, but has information about all the performers and artists on the inside. The top-right panel serves as the cover of the folded flyer, so it still makes sense on its own. As a part of the series, each poster fits in with the look & feel, although it has its unique visuals and message. Our relationship with Hustle Butter goes back to their beginning. Over the years, we have designed a large number of ads, banners, packaging and displays, postcards and other marketing materials. To get the whole picture – read the case study. 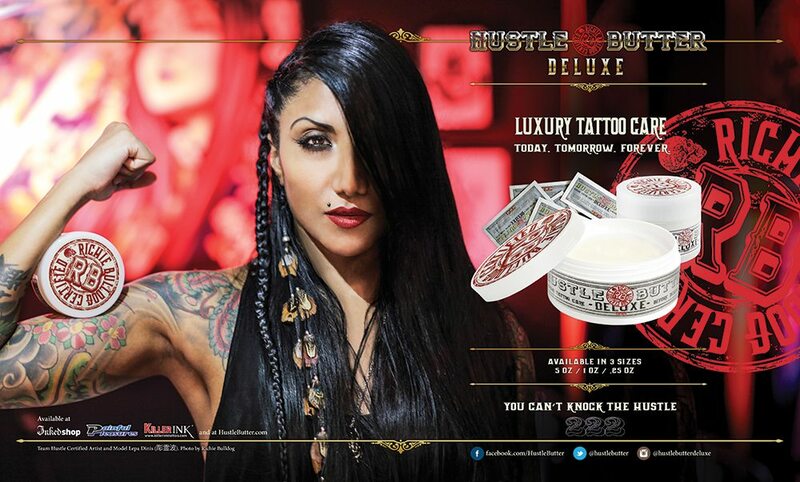 Hustle Butter has a very clear understanding of their client, and the print design we created for them reflects that. Therefore, their visuals are always bold, striking, daring. 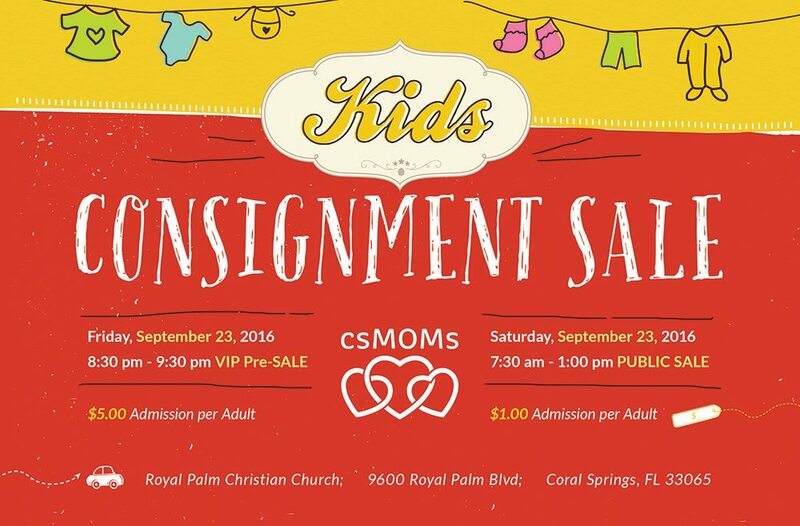 It’s been our pleasure to have been supporting CSMOMS throughout the years, from their logo redesign, to website and all marketing materials. 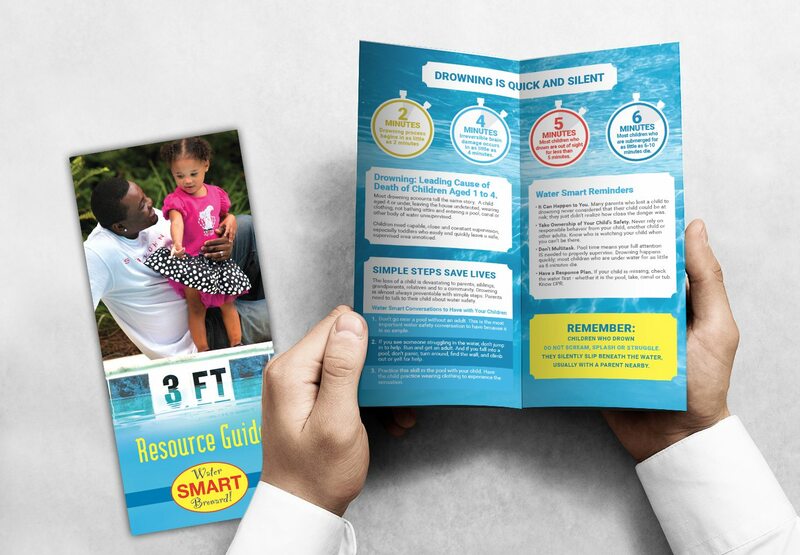 Over the past years we have designed many print materials for Water Smart Broward, a drowning prevention program. 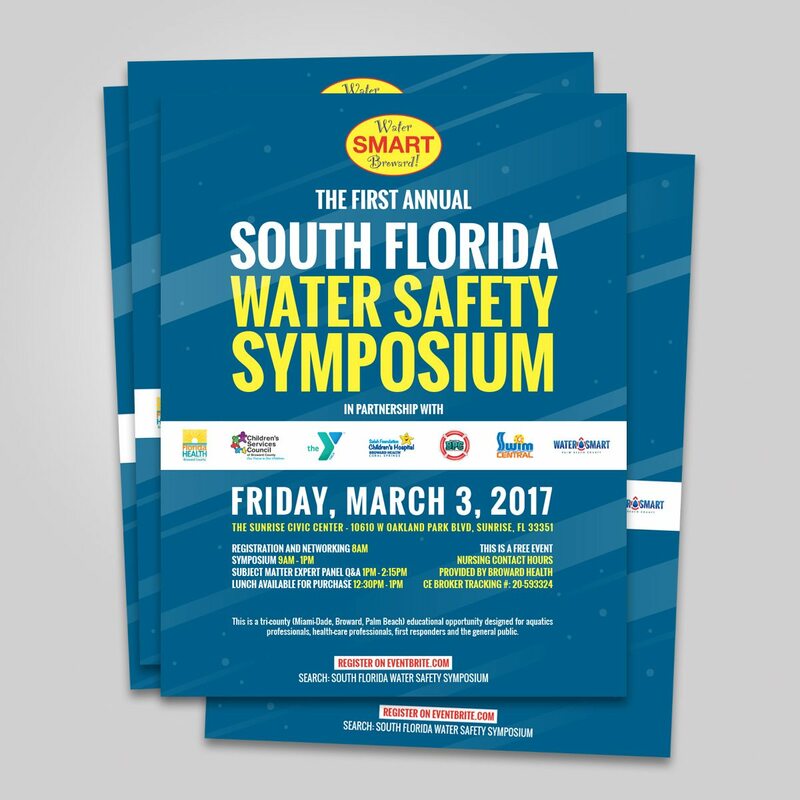 Consequently, their work has been making a great difference through education and outreach, in Broward County and beyond. 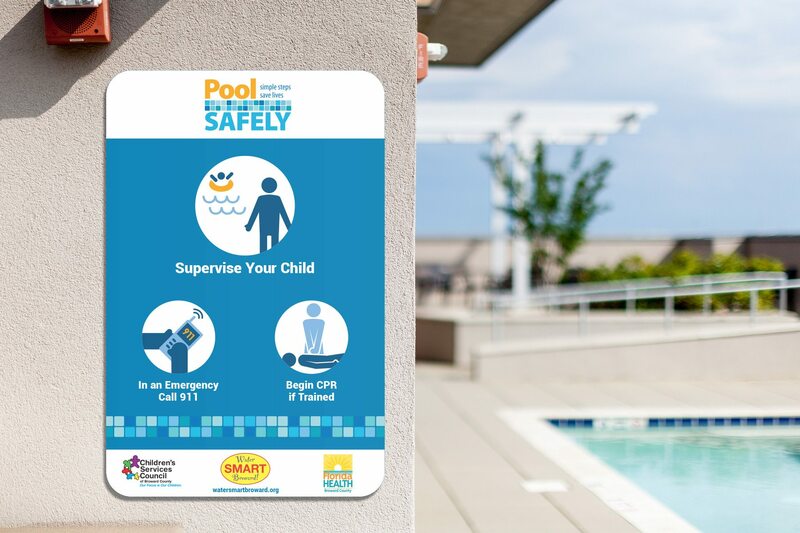 The materials above and below are part of their ongoing drowning prevention campaigns. If so, we’re happy to help. Check our pricing to see our most typical rates for print design or contact us! 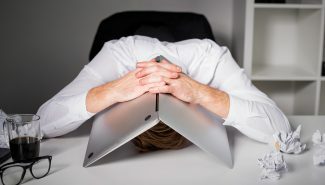 Is Your Website Guilty of these Web Design Mistakes?